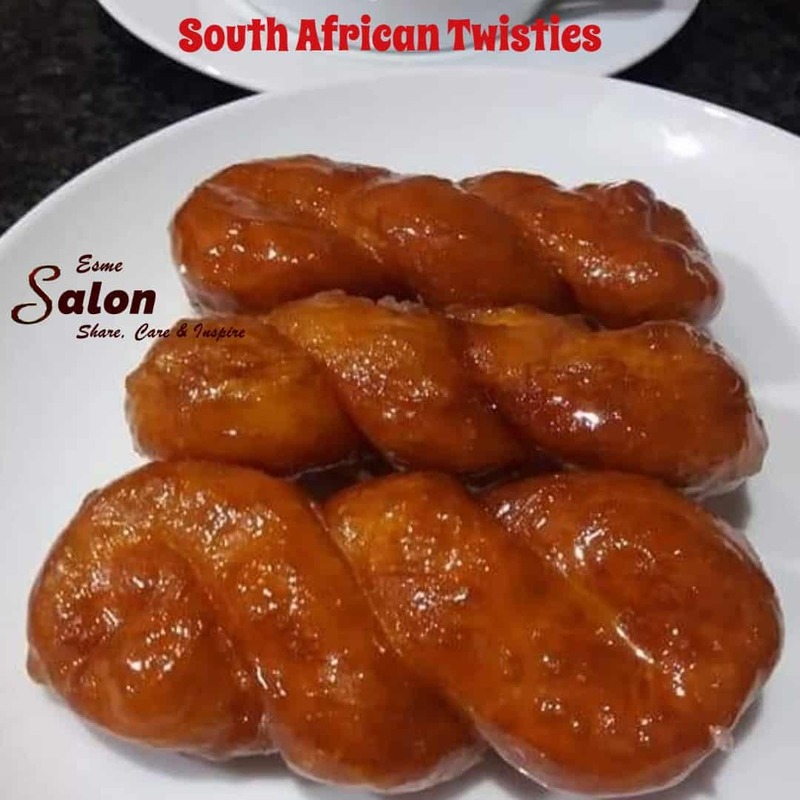 South African Twisties – A Sweet, Sticky, Syrupy South African Treat!! Mix all dry ingredients then add liquids to the dry ingredients. Mix into a soft dough. Add more lukewarm water, if necessary. Knead dough lightly for 20-30 minutes, until smooth. Cover with plastic wrap and leave to rest for at least an hour. Roll out dough into a sausage. Cut small pieces from it and roll each piece into 1 x 8cm lengths. Join ends of 2 or 3 strips and plait. Deep fry in moderately hot oil until golden brown and drain. Allow simmering over low heat until syrupy. Add two pieces stick cinnamon and two cardamom pods while boiling the syrup. O yum! will have to try making these! A very tasty treat Susanne. Oh my gosh—I just woke up and haven’t yet had coffee or breakfast. Now I’m drooling 🙂 Since this is a South African dish I’m wondering if you’ve ever tried Bobotie. Yumm! Most definitely, as South African as you will get, I love it. Have you ever made it? I have never heard these called twisties before, we call them koeksisters.